Gas Outlets highly praised for fluent operations, oxygen flow and reliability the medical gas outlet combines case of installation & low cost maintenance. We manufacture and supply these gas outlets using superior quality raw material for gas distribution in centralized areas of hospitals, dental clinics and veterinary facilities; patient rooms, operating areas, surgery centers and dental offices. 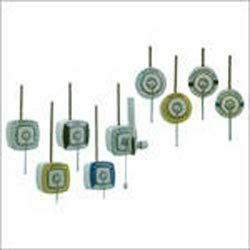 These outlets are appreciated by the clients for various features such as durability, corrosion resistance and efficient performance. 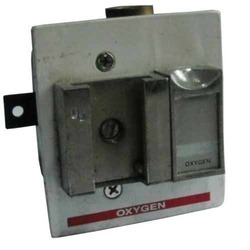 It provides a perfect platform for handling various gases including oxygen and Nitrous oxide. Finding wide use in medical centers, hospitals and laboratories, Percodex (Outlet) find use as gas outlets and provide for accurate functioning support. Developed in exact specifications as demanded by the customers, its superior construction standards also make it long lasting in use as well as provide for consistent performance. Further, we ensure these are made available to customers at competitive prices. Easy to operate and leak proof under prolonged use. "S' Bracket with Cover & Button offered by us is of quality material. Looking for Medical Gas Outlets ?